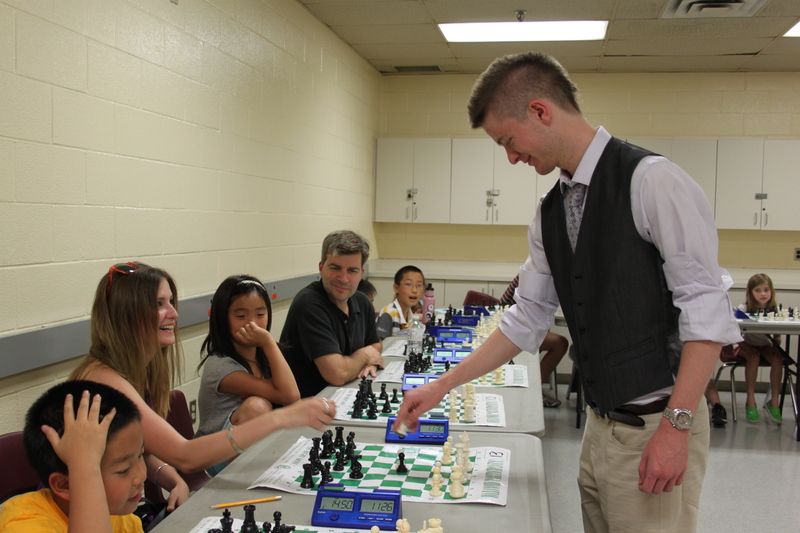 Seneca Hill Chess club ran a series of fundraising activities to sponsor Natalia Khoudgarian WIM, Jackie Peng WCM, and Yelizaveta Orlova WCM for the 40th World Chess Olympiad in Istanbul; and Aman Hambleton FM for the World Junior Championship in Athens. 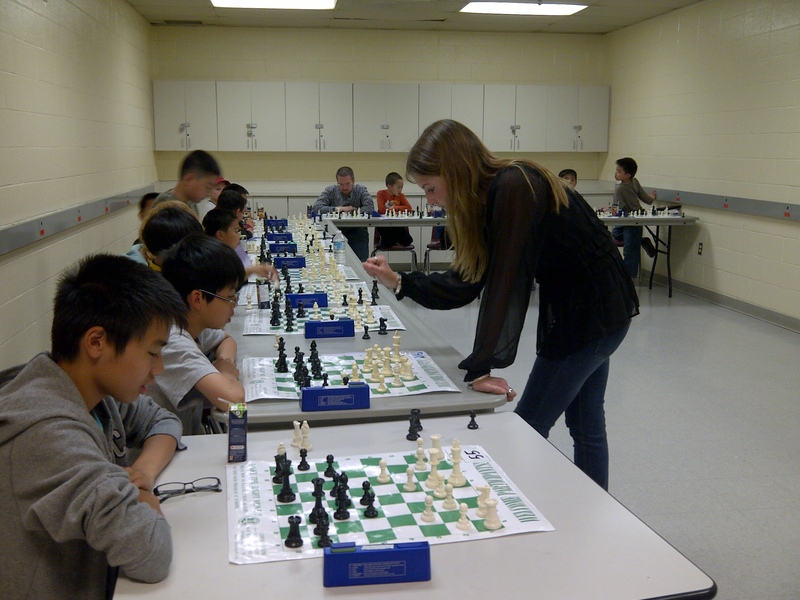 WIM Natalia Khoudgarian played a simul as one of the side activities in OGCC 2012 on May 19. (See this video.) Then we had 3 simuls at Oriole in June. On June 17, we finished the final part of the fundraising activities. The response of the simuls was great. We had to turn down some players on the first two simuls. 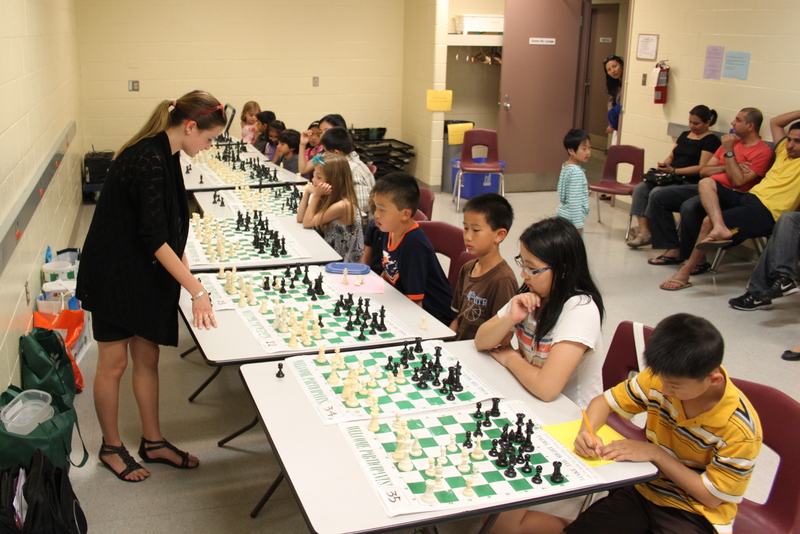 On June 3 and 10, WCM Yelizaveta Orlova and FM Aman Hambleton played 23 and 24 boards respectively. 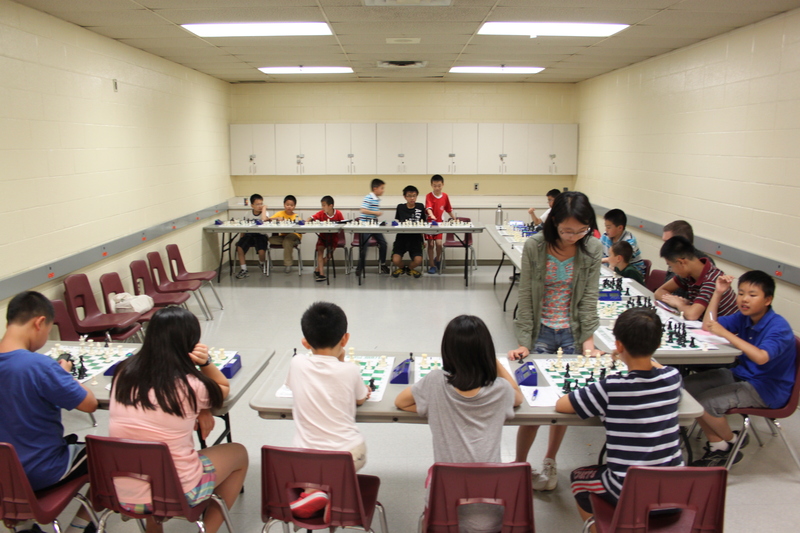 In order to accommodate everyone, in addition to WCM Jackie Peng, Liza kindly agreed to take the extra boards on June 17. It ended up Jackie played 21 boards and Liza 14. 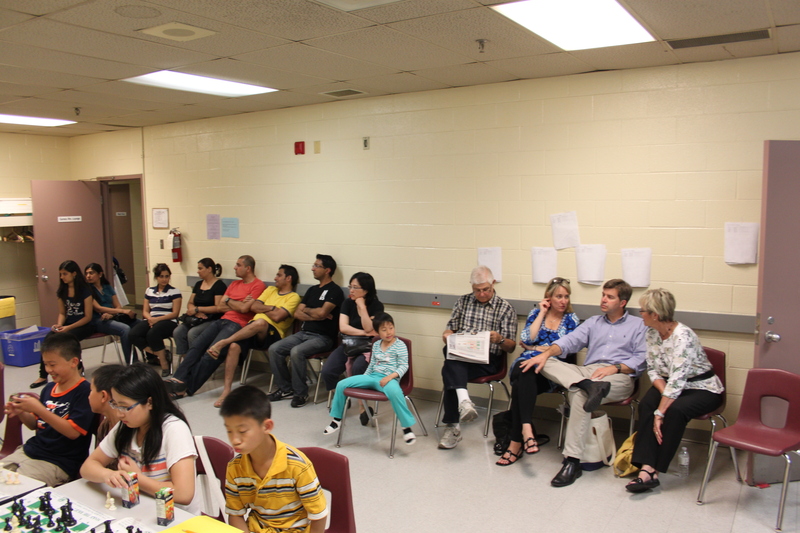 There were 35 participants/boards, two woman masters, 3 workers (my husband, my daughter and me) and many parents. Regardless of the crowdedness and warmth in the room at Oriole, the atmosphere was excellent and everyone enjoyed it. Both girls won all the boards, except Liza and Janet (Jackie’s sister) had a draw. Liza and Jackie were amazingly tough and calm. They managed to win against so many players in about 2 to 2.5 hours. Before the simuls, some little players were asking: “Where are the masters?” They had never thought those two young referees in their tournament were the masters and would eventually beat them all! Talking about referees, we have to thank Gallen and Karen (computer) for helping as referees for all three Sundays. Photos were uploaded and a link will be sent to the participants. There are 4 posted here for everyone to see. Last of all, I am thrilled to announce that the total amount we raised was $1552! Each of our four recipients will receive $400, which will help with their expenses during the international tournaments this summer. We wish them all the best in the World Chess Olympiad and World Chess Junior Championship. Jackie and her 21 boards. WCM Yelizaveta Orlova and the extra 14 boards. 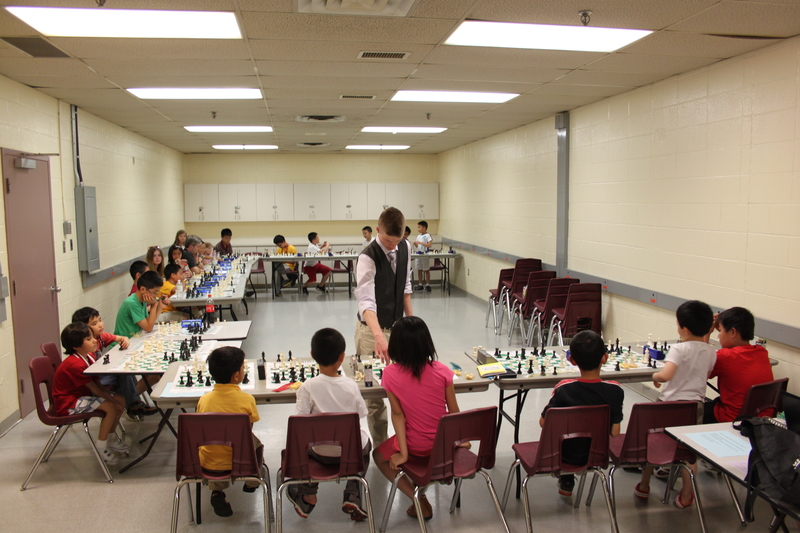 The second Simul hosted by FM Aman Hambleton today (June 10) was also a great success! 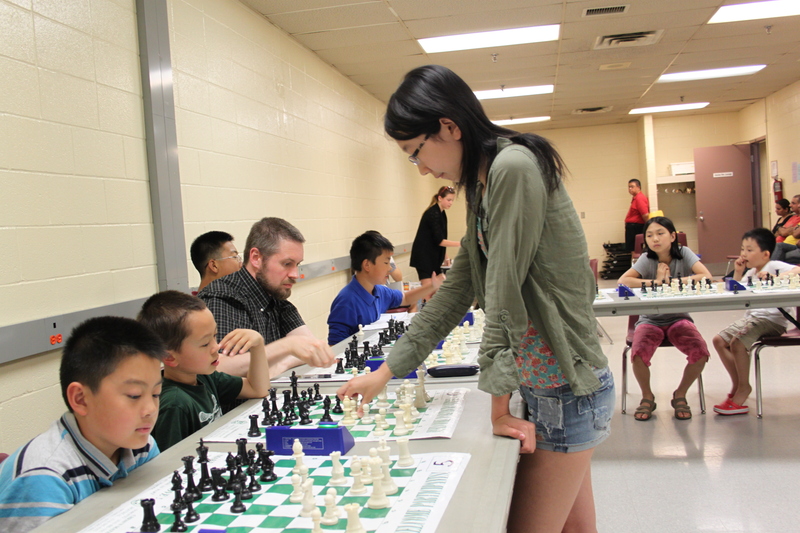 We had 24 boards and two winners – Daniel and Wenyang. Thanks to all the participants and parents. Oh yeah, WCM Yelizaveta Orlova was also a participant today! We will upload the close up photos we took today to an album only for the participants. Here are some of the photos. 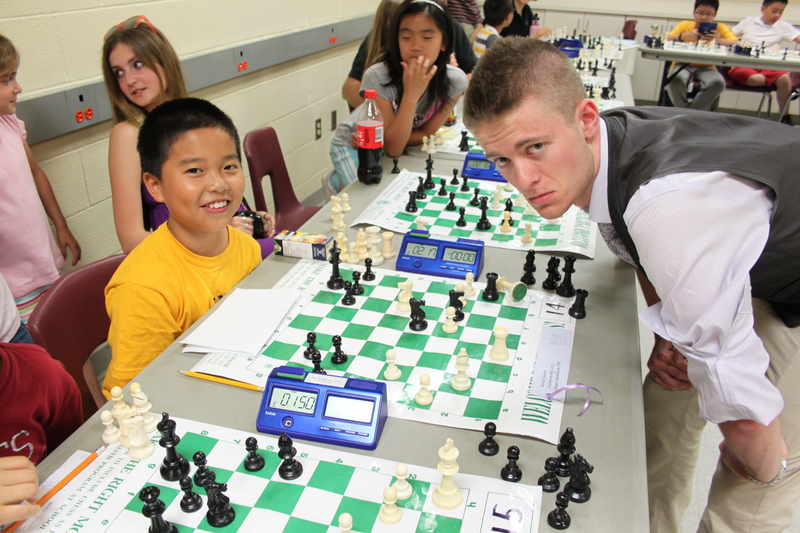 Please scroll down to see the details of the third Simul. Our OGCC grade champions (with 2 alternates) went to Kingston to play the top girls from Quebec. on June 9. 5 of our girls, including Tiffany from our program, were named top girl of the grade among Quebec and Ontario girls. Please see post at CMA News. 2 Seneca Hill teams: K-G.3 and G.4 -G.6 and other Ontario top teams went to Kingston to meet the top teams from Quebec on June 9. 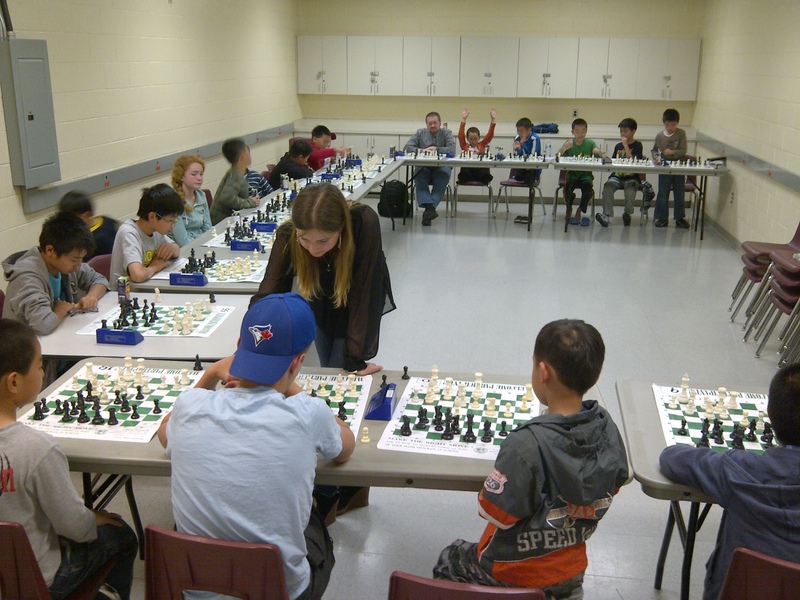 Our 2 Seneca Hill teams became the CHAMPION in each section of the Ontario and Quebec inter-province tournament! There were many more players coming to Oriole the past Sunday than I expected. I am sure we would achieve our fundraising goal. WCM Yelizaveta Orlova was the first host of our 3 simuls at Oriole. 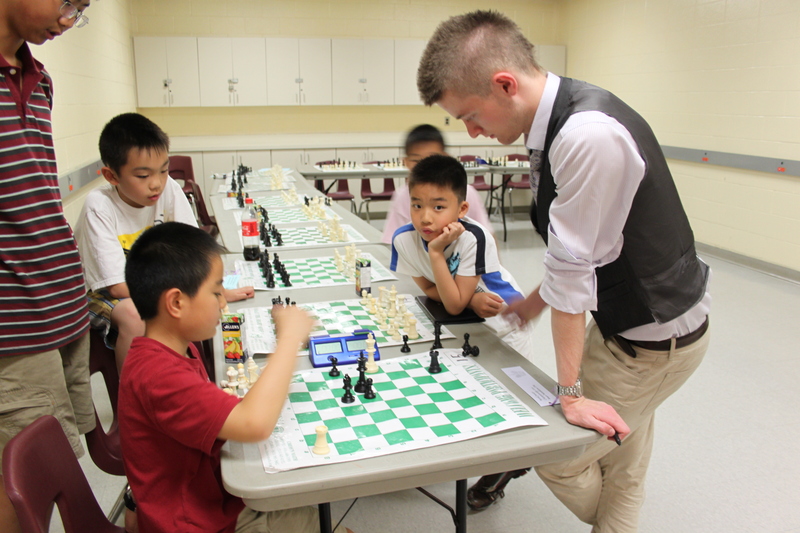 I definitely learnt how to do a better simul for FM Aman Hambleton coming Sunday. Please scroll down to see the details of the upcoming two simuls on June 10 and 17.